Drawtite Ball mount 2" drop - Complete Vehicle, Inc.
From boats and watercraft to dirt bikes and dump runs, getting your trailer where you‘re going demands tough equipment. Engineered to handle up to 16,000 lbs GTW, the Draw-Tite Ball Mount is some of the toughest equipment you can hook up to your hitch receiver. Featuring brawny steel construction, Draw-Tite Ball Mounts deliver the strength it takes to safely haul any load. Plus, they’re available in an array of lengths, drops and rises to work with all of your towing jobs. For quick mounting, Draw-Tite cuts the end at an angle—that way you’re hitched up in a jiff. 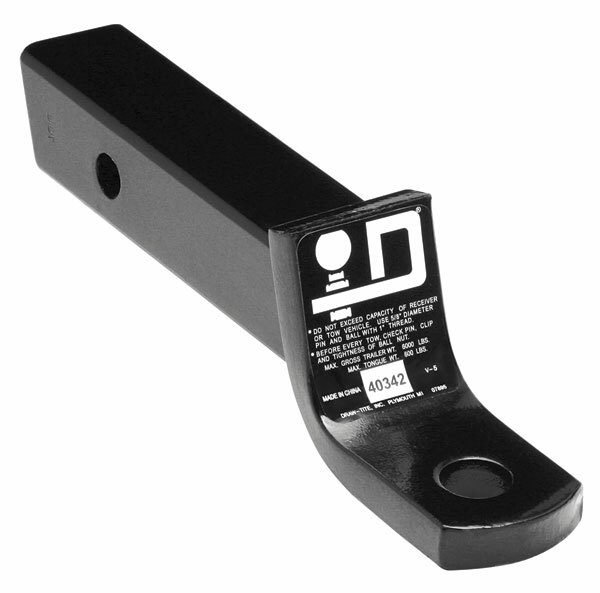 And, the durable, rust-resistant black powder or zinc finishes look great tow after tow. Plus, Draw-Tite backs your Ball Mount with a Lifetime Warranty.